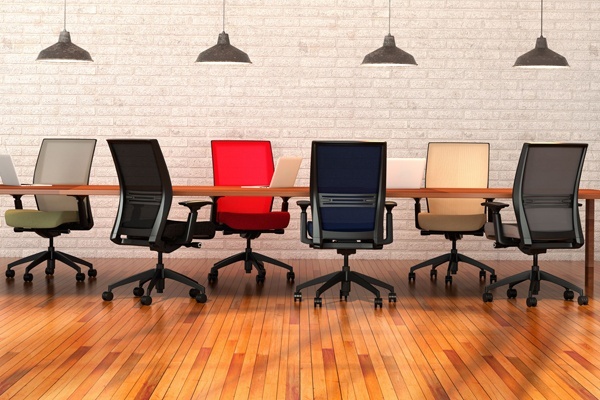 The Amplify task chairs by SitOnIt Seating are modern and comfortable, with a stylish aesthetic. Choose from highback or midback mesh or upholstered chairs with different options based on your personal style. Select the type of frame, arm, and base colors you like to mesh with your office style. There are10 vivid and distinct mesh colors available including nickel, onyx, dog, navy, and more. If you’re interested in the mesh backing, there are 10 complimentary contrast stitching colors available to give your chairs an added touch of distinction. With these chairs, you don’t have to compromise on comfort with standard enhanced synchro,(users can recline without the cushion moving significantly from the floor) height adjustable arms, and adjustable lumbar support to reduce muscle pain, soreness, and fatigue. 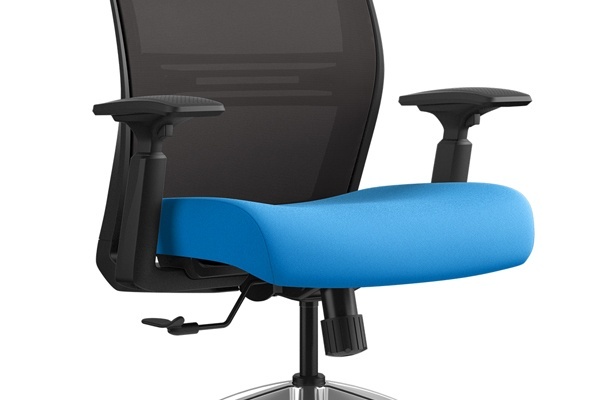 This chair offers more standard features than the competition! Use these innovative and versatile chairs in a variety of different office spaces including collaborative areas, personal offices, conference areas, and more. 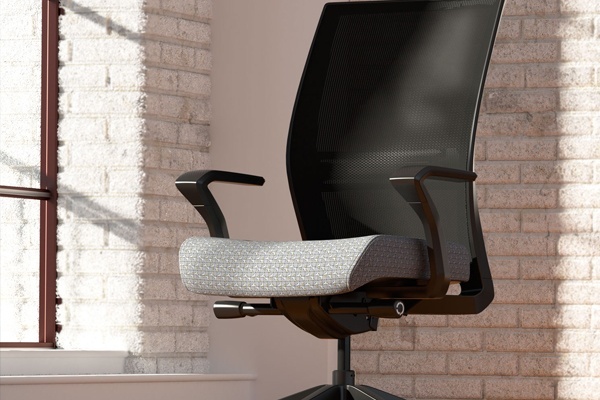 See the innovative design and features of the Amplify task chair in the video below.